Hello all! After 2 months of intense competition between blog articles written by talented wine-lovers, it is finally time to make a selection! 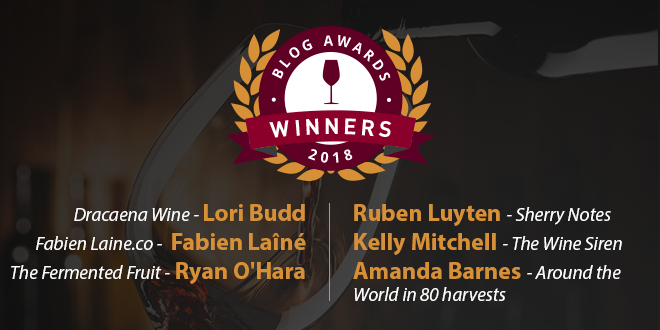 The entire Millesima team is excited to finally reveal the names of the 6 winners of the Millesima Blog Awards 2018. But first, we would like to thank all participants – finalists and non-finalists, for their interest in our contest. We would also like to express our gratitude to our panel of international jurors and our honorary sponsor, Chateau Clerc Milon, which will open its grand doors to welcome our 6 finalists during their trip to Bordeaux in the month of April. 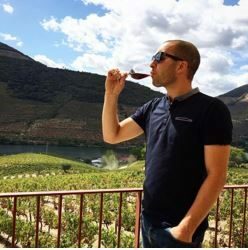 Wine Travel Award Europe: Ruben Luyten for his article « Visiting Bodegas Lustau ». Wine Travel Award US: Kelly Mitchell for her article « Bierzo, Spain : The wine world’s best kept secret ». Food and Wine Pairing Award Europe : Amanda Barnes for her article « A taste of Croatia : Boskinac and the wines and flavours of Pag ». Food and Wine Pairing Award US: Lori Budd for her article « Portugal’s political history affects it’s culinary and wine culture ». Wine Reporter Award Europe: Fabien Laine for his article « Di Filippo – Nature and hard work ». Wine Reporter Award US : Ryan O’Hara for his article « The best Franciacorta wines | Italy gets serious about sparkling ». Find out more about our finalists and how wine inspires them to write such engaging content. Spain, the land of inspiration? Indeed! 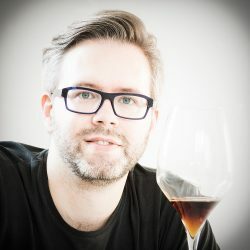 Belgian blogger and freelance writer specialized in spirits, Ruben launched SherryNotes.com in 2013 after having lived for a while on the Iberian Peninsula. His mission? To unite those who are passionate about whiskey and sherry, also known as Jerez or Xérès. With over 350 articles dedicated to his bodega tours and tasting notes, Ruben has become known for his top quality content. He is also often invited as a guest blogger to write for the official sherry.wines website, which organizes the annual ‘Sherry Twitter Tasting’ in collaboration with the ‘Consejo Regulador’ of the Jerez-Xérès-Sherry appellation. Coming from the world of new technologies and real estate, Kelly Mitchell’s career tells the story of a woman whose ambition has been synonymous with success. After spending 36 years in Hawaii and earning a great reputation through her podcasts, Kelly decided to get back to the origin of things. In 2014, she moved to Napa Valley to pursue her dream: to write and produce videos telling the story of local winemakers, talented artisans of wine. Her passion ? Demystifying the world of wine, discovering new regions and their terroirs during her travels. Embark on an adventure with Wine Siren and experience a total immersion into the world of winemaking. Kelly Mitchell also writes for the Huffington Post. 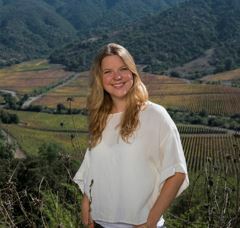 Multimedia journalist and British writer specializing in South American wines, Amanda is currently on a world tour of wine. Her ultimate goal is to participate in 80 grape harvests, alternating between the Northern and Southern hemispheres, and then capturing her experience in a book that expresses a global vision of the wine world of today. Based in Mendoza, Argentina since 2009, she is a regular correspondent for many magazines on the theme of wine and travel. The young scholar also participates as a critic in numerous competitions around the world, including the Decanter World Wine Awards (DWWA), the most prestigious wine competition in the world. 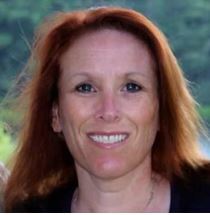 After studying microbiology, Lori Budd embarked on a degree in viticulture and oenology at UC Davis in California. 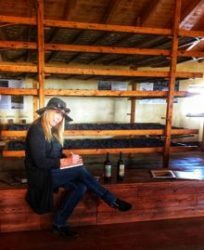 Sharing her time between New Jersey and sunny California (where she and her husband run an estate) Lori started her blog, Dracaenawines, around 3 years ago. What’s the story behind this name? Dracaena is the scientific name of a plant known as Draco. Lori made the decision to name her blog in memory of her dog Draco, a Weimaraner that also graces the labels of her wines. Fueled by her insatiable curiosity and passion for wine, Lori also produces several podcasts. Entrepreneur, marketer, content editor through several different media, this photographer and cameraman is also a certified sommelier who has accumulated a great collection of experiences abroad. It is clear that wine is more than just a passion for Fabien, whose goal is to make the world of wine, gastronomy and travel accessible to all consumers by telling the story behind a bottle, a product, a region. Because wine, in the end, is about happiness and sharing, n’est-ce pas? 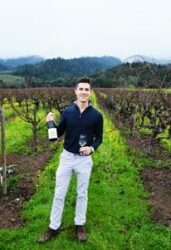 Founder and creator of the blog TheFermentedFruit.com, Ryan is a true wine enthusiast who enjoys sharing his experiences in what each bottle has to offer. In just a few short years, his blog has become a huge success, bringing together a community of over 10,000 wine lovers. Although not a professional critic by training, Ryan has managed to define a signature style, educational and accessible to all consumers. Always in search of new discoveries and the best value for money, be it a bottle for $10 or 100, he shares, each month, hundreds of criticisms and recommendations. Thrilled by their engaging and fascinating content, the entire Millesima team is now waiting to receive the 6 winners during the week of Primeurs, between the 7th and 13th of April 2018. What’s on the menu for these talented bloggers? An unforgettable trip to Bordeaux to taste the 2017 vintage at only the most prestigious properties of the region – an experience that these 6 lucky winners will not soon forget! Live the adventure of the 6 winners! Follow us on Facebook, Twitter and Instagram using the hashtag #MillesimaBA2018 to stay up to date with the latest news and share this unique experience.